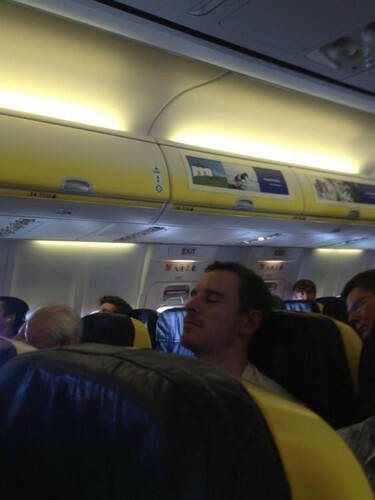 Fasst Asleep on Ryanair on his way to Spain. Michael Fassbender fallen asleep on Ryanair flight on his way to Spain 25th August 2012. HD Wallpaper and background images in the Michael Fassbender club tagged: michael fassbender ryanair spain. This Michael Fassbender photo might contain subway train. Omg,he is so adorable!! !can I give him a wake up kiss? !